Internationally acclaimed DJ, producer, radio host, and label owner Darin Epsilon is often referred to as a leader of the Progressive & Tech House scene. His Perspectives radio show and podcast, along with his frequent guest appearances on Sirius/XM Satellite Radio allow him to reach tens of thousands of listeners on a regular basis. His SoundCloud page alone has over 800,000 total plays and receives a whopping 10,000 plays per month. He launched his record label Perspectives Digital in November 2010 as an extension of the brand, further solidifying his influence and presence within the global dance community. To top it all, he was named one of the winners in John Digweed & Beatport's DJ Competition during the summer of 2011. 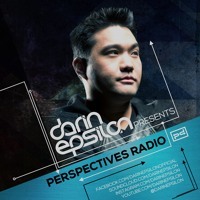 Cid Inc & Darin Epsi ..
Perspectives Radio is back with Episode 118 featuring new music by Tom Zeta, ARTBAT, Yotto, Marcus Meinhardt, AFFKT, Fat Sushi, and more! I'm currently on a 4 city tour of Argentina after performing in Qatar and Lebanon. Afterwards I'll be making my way to the United States, Canada, Germany, and Spain. Danito & Athina are back for their 2nd appearance on the show, and just like last time, the mix is packed with their own original productions and remixes. They've just released a brand new EP on Perspectives Digital which features a remix by Armenian producer Armen Miran! Please remember to Repost, Like & Share if you enjoy this show! Merry Christmas and Happy New Year!! The last Perspectives of 2018 features new music by Pig & Dan, Sasha, Olivier Giacomotto, Bebetta, and more. As a bonus, you'll hear my live recording from Getaria in the 2nd half of the show. It was my first time performing in Spain and the crowd was absolutely one of the best I've had this entire year! Many thanks to the entire Spectrum Nights crew for a truly memorable evening. Episode 116 was broadcast from Lahore, Pakistan, where I recently performed alongside Nick Muir and Nick Devon. It was a once-in-a-lifetime experience and always wonderful to be reminded that the show is reaching all corners of the globe. Martin Roth provides an exclusive guest mix for the 2nd half of the show. His first appearance on Perspectives was Episode 77 back in February 2014 so he's been way overdue for another set! Martin's brand new remix of my track 'Fantome' is available now on Perspectives Digital.